The next entry in our "5 minutes of horror" series. After leaving your wallet behind, you return to Ribeye Charlie's house of steak and pasta to retrieve it. The restaurant is closed but the front door is open. You step in. Thank you for reaching out! I will look into a Mac build and if/when it gets ported, I will be sure to contact you. As my comment on the "just before the swarm" game, this game was really good and really kept the tension up. The only real problem I had was that the AI didn't seem that advanced and even though the tension was there, it felt like all I have do to was run away and they couldn't catch me also, the screen resolution wasn't full 1920x1080 for some reason. I know its not supposed to be widescreen but I felt that this took a bit of tension away from the game. It also cut of the ending when you finally escaped. I do like how this game and your previous game links together in the same world. That is a nice touch to give to exsisting fans. Other than that, it was a really good horror game and again, I hope to see more of these games in the future. Keep up the good work and here is the halloween special for those who have not seen it yet. I have so many questions about this game... this game... just this game. It's pure beauty. But honestly, some nice game mechanics and some good spooks, made a great game for the video! Thanks for making this, i'd love to see some more random but terrifying games like these! See, you get what you get when you walk into a restaurant that's clearly closed. Spooky fat guy in an alcove was my favorite part. Jokes aside, I think this one had an interesting premise but was a little half-baked. Ran in to a couple major bugs (enemies not killing me, enemies getting stuck, finishing the fuse box immediately after dying). The level seemed to be setup but not filled with much stuff. I see you're focusing on a "5 minutes of horror" series, and I don't know if there's certain deadlines you set with each entry. I feel like this could be much better if it had a little more development time. Regardless, it was an interesting idea and I'm sure you guys will only improve from here. I'll keep an eye out for your future titles. Good luck! I see you are another developer that has the same style as, Puppet Combo. Sorry if that offends as, I don't mean to in any way! You produced a great game as, a carnivore who sure loves his steak and, a good burger you almost turned me vegan scared have to death by demonic blood thirsty cows! I think I almost made it out on my last attempt unless there are more than 3 fuses! I really thought the game wasn't beatable until my last run where I did so good. I enjoyed the ringing of the cowbells to signal danger! Ribeye Charlie`s basement is a lot more spacious than i expected! This is a great horror game!, I'll definitely play this for a video on my YouTube channel! Thank you for the video and review! Hey, I liked your game. I only wish it was a little longer because I wanted to play it more! Can't wait to see your future stuff! this game is super sick. I would love a part 2 out of it. My only issue is finding the fuses. Didnt realize what I had to do until 10 mins it but I'm not the best at games! Great game. Spooked me! Andrew, thank you for the video! Thoroughly enjoyed my time with Ribeye Charlie's. One of the few horror games to legit make me scared! Good to hear you enjoyed it. Thanks! It was a rather weird game for me. Short game. One good spook. After that I had some beef with it and had to milk it for all the udderly good moo-ving jokes. Hey there, I recently played through the game and thought I'd share some of my thoughts on it here. I'll be going over some things I liked about the game, maybe some things I didn't and any bugs I may have discovered. First I'll go over some of the things I liked. I enjoyed the story premise and setting of the game, a steakhouse by day but a "slaughterhouse" by night, it's a really interesting concept having all of the staff actually be killer cows carving people up at night. The "VHS" effect is also very well done here, adds to the atmosphere of the game. Now I want to talk about some of the things I didn't like. The biggest thing to me is that it just didn't feel like a horror game, yes the premise and setting are creepy and good but I couldn't really find any meat to this game (no pun intended). The cows that chase you are barely any threat at all so long as you turn tail and move the other way, and apart from their eyes glowing when you're in their sights they aren't really that frightening to look at. It's also become extremely common for games to use the "find X number of Y item in this maze and don't die!" concept and it's getting to be extremely repetitive, of course your game isn't the only recent one to do this, but it's the most recent I've played that follows this overdone and frankly boring formula. I'm happy to report that I didn't encounter any game breaking bugs, however there was a minor one where a cow would continuously walk into a wall, I believe the "cowbell" effect would trigger but it appeared to be stuck. In the end, I'll give praise to the game's story and setting concepts, as well as it's use of effects to heighten the atmosphere. 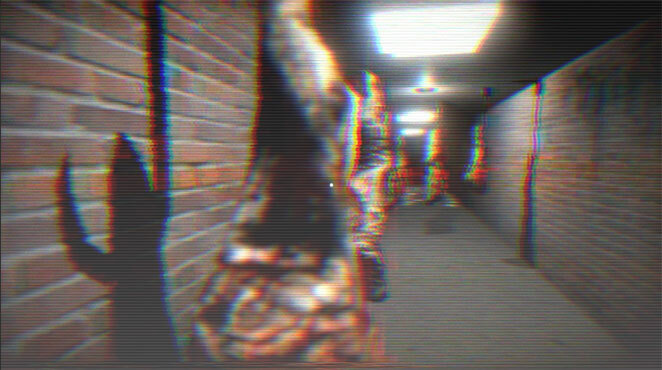 However, I have to be critical about the overall game-play in that it's very mundane with mechanics that have recently been overdone in the indie horror scene especially here on itch, and that I just didn't find it scary. Great game! Really enjoyed the style and feel. Can’t wait to see more. Keep up the good work! I copouldn't figure oout where to go or what to do, this was the last game I played. Great video! Thanks for playing the game! I enjoyed this little horror game. Sweet and to the point. Here's my play of the game, I see potential in this game, however in this current state it does need some work. Hope to see more from you guys in the future! Well this was fun. I enjoyed the whole experience. If you need something quick to help you evacuate your bowels look no further. Excellent game. Excellent effort. I look forward to seeing more from this team. Really loved the VHS style graphics! Made everything really creepy lol. I didn't think I'd enjoy getting chased in the back of a restaurant by a cow cult but I did! Ribeye Charlie's is a short but sweet meaty little spook game that's easy for anyone to pick up and play. It also feels like an enjoyable starter level spook game, as it is pretty straightforward once you get into it and has simple controls. I'm not entirely sure why the player has Old VHS vision or why the enemies are cows...but I don't question it, because it all adds to the fun. Good job on this, devs. You made a weird and amusing thing. 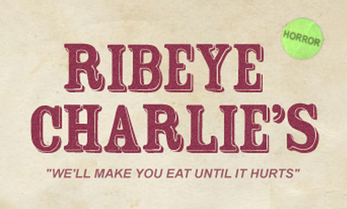 Ey, so here's what I've gotta say about Ribeye Charlie's! Sorry about the lack of energy within the video down below; it was pretty late when recordin', hahah. It was pretty short, so I don't have much to say on the matter. I did like the sounds that were put in, but I wish there was more. I liked the cowmen, but again, I wish there was more to them in terms of mechanics. 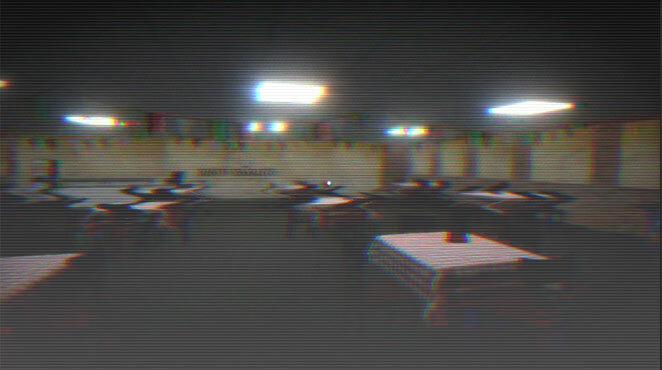 The VHS filter was something I loved, but it became a bit uneasy for my eyes to stare at after a while. Gameplay was short, sweet, and to the point, which is a-okay in my books for an experience like this. Overall, there's more to be desired, but it's a fun little game to play! Thank you for taking the time to read, and have a lovely day.